We’ve only just reached February 1966 and already every side of every single, er, single we’ve seen this year – this Motown year, I should specify, since it’s taken me, like, four actual ones to get through these first few weeks of ’66 – has earned a big green number at the bottom of the review. For new readers, the marks are meant to be a fun conversation starter, not the be-all and end-all of my thoughts on a particular song, but still… including the last weeks of December 1965, that’s a streak of fourteen straight songs I’ve rated as, at the least, very good. Make that fifteen. Hope it isn’t getting boring! If my praise starts to sound repetitive, do me a favour and stick the actual records on – right now, they’re all brilliant. Nothing much I can do about that. Motown was on a tear, no question, and for most fans 1966 marks the apogee of the label’s anything-but-mythical Golden Age, the time when everyone at Hitsville was at their very best. 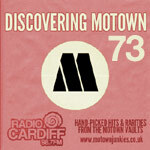 Motown’s prodigious output would be one thing, but the quality of that output at the time is, by and large, the stuff the label’s legend is built upon. Just as the city’s motor industry was firing on all cylinders, Motown brought worldwide attention to Detroit in the mid-Sixties, as the most successful music industry talent-spotting and -gathering operation of all time came to fruition. Berry Gordy had gathered around him the absolute cream of the industry’s black American talent, whether that meant in songwriting, musicianship, production, singing, dancing, marketing… you name it, Motown probably had someone who was the best at it. Even more remarkably, some of this unique confluence of brilliance had happened entirely by accident; the Supremes were famously the runts of the litter, Stevie Wonder was a “blind dancing kid with harmonica” novelty act, Smokey Robinson just happened to be Berry’s friend. Did Motown realise they had signed the future biggest and most famous girl group of all time, and two of the greatest singer-songwriter-producers in history, any one of whom could have sustained an independent label of their own for years? What about the session drummer, Marvin Gaye? Or the A&R secretary, Martha Reeves? And yet, astonishingly, there had still been some Ones That Got Away, even in Detroit. The Four Tops had somehow lasted until 1964 as perennial and well-known “local talent” before getting a single on Motown, ten hitless years of hard slog rewarded and paid in full. By teaming the Tops with the Andantes, the immortal Motown female backing singers, the Holland-Dozier-Holland team created something close to alchemy, a blend of beautiful voices and gritty soul sensibilities verging on the perfect (and sometimes, as in the case of their début Motown 45 Baby I Need Your Loving, actually perfect). This record may not be quite as good as that one (because, frankly, almost nothing is), but stone me if it’s not brilliant anyway. Fifteen in a row, ladies and gentlemen. The Sound of Young America, conquering the world. This is something special alright, isn’t it? I mean, it may be getting slightly tedious for you guys to be reading all these reviews dripping with praise as a seemingly endless production run of masterpiece singles comes off the neverending conveyor belt, but believe me, it’s equally hard for me to write about records you all probably already know. (That’s not why I keep taking impromptu year-long breaks, though, I promise). But, well, like I said, these records are special because for most listeners, these records are Motown. You could probably make someone a Motown compilation only including songs from 1964 through 1966, and not receive any complaints about major hits being missing, even though obviously loads of them would be. These are the songs that made Motown “Motown”, and, well, this is another one. Of them. The biggest trademark of the genius Holland-Dozier-Holland writing and production team, who were responsible for an inordinate amount of those signature hit songs, is fully present and correct here. Not the 4/4 floor-filling beat, or the crotchet pulses the Funk Brothers throw in on the beat to keep things driving along, or even the swooping, sweetening vocal harmonies that lift those heavenly band tracks to another yet-higher celestial plane – those are all here, alright, but I’m talking about another signature HDH feature, namely their ability to take a driving, fully danceable upbeat tune, and promptly marry it to the most anguished and depressing lyrics you could come up with. This is a song about a guy who is losing his mind, paranoid and permanently on edge, plagued by fears his partner is about to walk out on him, stoked by (possibly imaginary) rumours, fuelled by insomnia. And it sounds like a party, like the narrator’s pain would make a great ringtone. That, right there, is the magic of Holland-Dozier-Holland, and this is as good an example as you’ll ever find in their catalogue. – it’s not only heartbreaking, it’s followed by a seemingly impromptu string fill (though of course it’s not impromptu at all, I’ve no doubt it took real effort to make this sound so effortlessly and yet artfully raw) which makes it seems like the narrator has just given up for a moment, lost for words at the sheer injustice of it all, with nowhere to turn. Two of my all-time favourite Tops singles are still yet to come, and each of them draws great power from Levi Stubbs’ sheer magnetism as a frontman, the pain in his voice, the constant balancing on a tightrope between the gritty, almost shouted soul edge born of those years of trooping around cockroach-laden chitlin circuit venues and the angelic, soaring smoothness he could bring to a vocal without warning at any time. That mix is played right up here, probably more so than anything we’ve heard from the Tops before, and it’s clear the HDH team didn’t want him to hold back. When he belts out “What a fool I am / not to realise”, honestly, his delivery is the sort of thing they should give medals for, and yet his vocal line in the chorus – My whole world, you’ve inspired – is so sweet. He’s such a star, and the only reason I don’t say he carries this record is because it doesn’t need carrying, everyone involved in this record is working at max power. Those backing vocals, goodness me. The way the Tops and Andantes blend their voices together is still a thrill after half a dozen singles, and the sheer enjoyment that comes across from the Tops in particular dovetailing their harmonies behind Levi’s anguished lead, vocal lines just dancing in and out of each other but never colliding, goes a long, long way towards negating the (really pretty dark) lyrical subject matter. The more I play it, the more it dawns on me just how much work has gone into not making this horrifying. The Four Tops are wonderful, and right now, like the rest of their labelmates, songwriters, producers, musicians, and – heck – probably the people at the pressing plants, they can do no wrong. This is a magnificent record, and I can’t find anything bad to say about it except that, somehow, some even better Four Tops singles exist, or else it’d be getting a ten as well. As is becoming traditional on this blog at the moment, I love it. This is not really one of my favourites from the tops, but very enjoyable and interesting review as usual. Not to go all Book Club on everyone, but I’m genuinely interested: after listening to the song again, how many of you think this is really happening, and who thinks it’s mostly in the narrator’s head? …But on the other hand, perhaps this is just a study in jealousy, and the neighbours constitute a collective Iago… what makes the song so poignant is the uncertainty – as the tears stream down my face! I think those voices here are just as real as they are in “Barbara’s Boy”. I always thought it was real. Your deconstruction is interesting, though. So glad that you’re back “on the job!” Missed your terrific essays. Yes, this is a fantastic performance and deserves at least a 9. I would rate this at about “9”. So we agree on this one. Glad you are back for more than one song! The Supremes covered this on ‘The Supremes a Go-Go,’ – and that was the version I heard first – I think it was only when ‘The Four Tops Greatest Hits’ was released that I heard the original. The Supremes’ version, of course, lacks Levi Stubbs’ trademark anguish, but it got under my skin nonetheless. SHOUTS OF JOY AT YOUR RETURN!! Later, starting in the fall of 1966, my awareness of oncoming songs was no longer dependent on the campus jukebox – I was finally able to have a car at school. Suddenly top 40 radio became part of my life, and … even if a masterpiece like ‘The Love I Saw In You Was Just a Mirage’ never made it onto the jukebox, I’d hear it in the car…. So that you’re back! We don’t always agree, but I always enjoy reading your thoughts. That was a perfect review. The only possible argument is whether the track deserves a 9 or a 10. How funny i was about to mention “Barbaras Boy” as the comparison!!! Another magnificent Motown record! I seem to use that adjective all too often on Motown records of this period, but there were so many wonderful singles issued by Motown at this time. It’s difficult not to use this or a synonym of it to describe them. More often than not it’s the incredible production/arrangement/mixing/engineering and artistic performance that makes these records so fantastic. That’s not to say this is a bad song, but when you compare this recording with the slightly later Supremes’ version, which has a much weaker arrangement, you realize how important the above elements are to raise this song from pleasant to brilliant! That intricate and gorgeous string arrangement is marvelous. The only thing that amuses me is the lyrical parts that go on about hearing the neighbors criticizing. I’ve live in a terraced house at one point in my life with people either side, and you could hear them when they were shouting at each other, but not normal conversation. I wonder what sort of property Eddie Holland was thinking of when he wrote the lyrics where people could hear their neighbors ordinary conversations. Presumably a cardboard house!! Oh, Nixon…I can’t put in words how happy I am to have you back! “Through these walls so thin…” If that were the case, I don’t think you’d have to even use a glass. It was be hard for me to imagine a song that is so angst ridden than this one, in terms of paranoia. I can’t help but wonder what aspect of this song made Barbara Streisand record it some 9 years later, in terms of it being one of the only Motown songs she has ever recorded. …and this record so moves me, I’d have to give it a 10! Glad to have you back, with not one but two new reviews! Motown really was on a tear in the mid 60’s – and these songs are the proof. The oldies station in Houston never played this Tops tune…and I rarely heard it on CBS-FM in New York. But Philly my friends…Philly loves this song. Hyski, the Geator, Harvey Holiday & Butterball all cued this one up whenever they wanted to keep people moving and grooving on the dance floor (and on the radio). This tune gets a 10 in my book – but your (line dancing) mileage may vary. Having grown up near Philly in the mid sixties I second your comments. In terms of music, a GREAT time and place to be in high school!